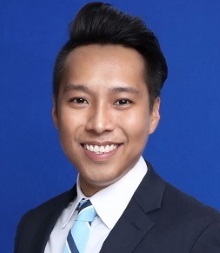 Khairi joined Seabury Global Markets in 2016 as Director of Sales based in Singapore. 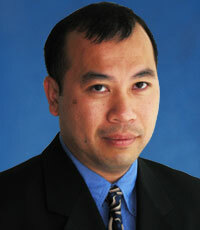 He is responsible for business development and distribution of customized financial technology solutions in Asia. Khairi has spent more than 10 years of his career in the financial services industry with a background in FX trading, electronic FX, digital assets and specializes in providing trading technology solutions to banks, FX brokers, and financial institutions. Khairi holds a degree in Banking and Finance from University of London. Patrick Bird joined Seabury Capital in 2017 as Managing Director and Global Head of Seabury Maritime’s Advisory practice. He brings over 15 years of industry experience, having held various positions across the world with the A.P. Moller-Maersk Group. Prior to joining Seabury, Mr. Bird was Chief Commercial Officer & Head of Government Relations for INTELS Nigeria Limited, Africa’s largest oil & gas service center operator. Mr. Bird has a strong business development acumen and has worked closely with various transportation industry professionals, international oil companies and governments to deliver a variety of infrastructure solutions globally. He holds a B.S. in International Business from the Pennsylvania State University. Joseph joined Seabury in January 2006 as our Los Angeles Office Manager, responsible for the administration of assets under management, including trade receivables and life settlement portfolios. Joseph is an experienced operation executive. Prior to joining Seabury, Joseph was Chief Operation Officer of Cels Enterprises Inc., an international OEM shoe manufacturer whose business is private labels and licenses to clients such as Wal-Mart, Sears, Nine West, Ross, Nordstrom & Macy’s. 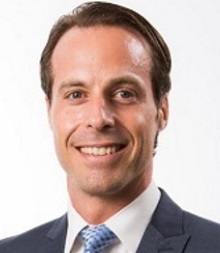 Nicolas Dellachiesa has joined the Seabury Capital A&D Investment Banking team in 2018 bringing 15 years of experience in the A&D and financial sectors. He previously worked on the buy-side for a $200m London Private Equity fund, originating, executing and managing investments. The fund’s hands-on approach to value creation allowed him to acquire valuable experience in company’ due diligence, turn arounds and business development. During his time at Citigroup’s M&A Industrials team he worked in a variety of financing and M&A transactions involving industrial companies. Nicolas held several leadership and management positions across the Airbus Group raging from leading a programme cost reduction project to developing new business ventures. Mike works exclusively in aviation, aerospace, security and defence and has led or participated in numerous buy-side, sell-side and fund raising engagements in these sectors. 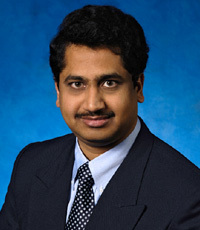 He has significant experience in aviation and the aerospace supply chain, having participated in multiple airline opportunities (with a focus on European carriers), as well as in aerostructures, MRO services, parts distribution, aircraft interiors, IFE, ground handling, flight training and defence electronics. Prior to joining Seabury, Mr Grant served for 19 years in the British Amy’s Parachute Regiment, including 7 years in MoD procurement specialising in Special Forces and ground combat equipment. He retired with the rank of Lieutenant Colonel, having been awarded the OBE in 2003. Mr Grant holds a first degree in law, an MA from King’s College, an MDA from Cranfield University and is a graduate of the UK’s Royal Military College of Science. 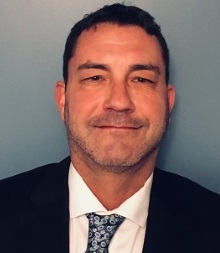 Brent Heath joined the Seabury Capital in 2002 and has over 20 years of Information Technology experience including project management, product development, IT strategy and systems integration. 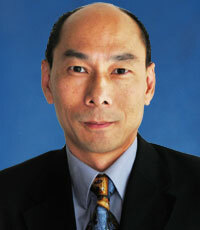 His airline experience includes flight profitability, financial analysis and revenue accounting. Mr. Heath is the designer and product manager for Seabury’s proprietary performance analysis solution, APAS. In addition to managing the implementation at several major airlines, he has consulted with numerous airlines regarding cost allocation methodology and process. Ture Johnson joined Seabury Global Markets in May 2017 as a relationship manager for the hedge fund and proprietary trading communities. Mr. Johnson’s primary function is to promote and sell the product offerings of Seabury Global Markets and those of its portfolio companies in Foreign Exchange, precious metals and Digital Assets. Prior to joining Seabury, Mr. Johnson was employed by Tower Research Capital as Director of eFX Liquidity Distribution and Liquidity Management. Mr. Johnson began his career at Bank of America as a proprietary trader, then transitioned to the buy side as a portfolio manager for hedge funds including Graham Capital Management. Mr. Johnson earned a BA in Economics from Rhode Island College. Mr. Juan leads the investment banking efforts for Seabury Maritime PFRA LLC. Henry works closely with C-suite leadership to develop and implement vision and strategic plans, including long range objectives which represent the best interests of a company and/or a public-entity, its overall mission, and its constituency. Henry holds a Master of Law from Magdalene College, Cambridge University and a BA from Williams College. In addition, he is a FINRA Registered Representative (Series 7, 24, and 63) and is admitted to the New York State Bar and is a Barrister-At-Law at Gray’s Inn in London, England. Ravi Kumar Kanagala joined Seabury in 2002 and has more than 20 years of extensive information technology experience including project management & business process integration/improvement. Mr. Kanagala is responsible for managing the procurement & implementation of IT solutions, streamlining the IT Support activities and serves as lead technical architect for software solutions. 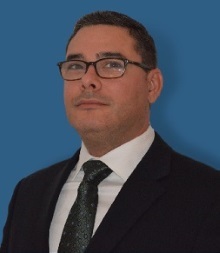 Fernando is the Head of Marine Services, Seabury Maritime PFRA, where he leads initiatives related to Maritime Digitization, Maritime Technology and Maritime Advisory Services. Prior to joining SMPFRA, Lehrer, was Managing Partner at The Maren Group, a Houston-based firm providing advisory services to the maritime and offshore sectors. Previously, he was President of LOC USA (London Offshore Consultants), one of the leading global independent marine and engineering consultancy organizations in the world. Jonathan Montbach has been with Seabury since December 2009. 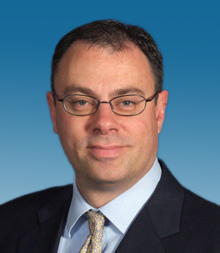 Previous to joining Seabury, Mr. Montbach has worked with firms such as UBS Investment Bank, KPMG Corporate Finance and GB Merchant Partners. Mr. Montbach is focused on extending the firm’s capabilities in the maritime and general restructuring segments. His previous clients span a broad range of industries, including maritime, industrials, consumer products, satellite and cable communications and energy. Mr. Morozov joined Seabury FXOne in 2013 and brings knowledge of algorithmic trading, efficiency analysis for proprietary trading platforms and experience in foreign currency markets. 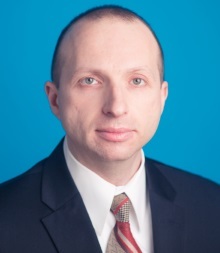 Over the course of his career, Mr. Morozov has supported numerous customer engagements with primary responsibility for advancing clients’ understanding and creating original trading strategies. Previously Mr. Morozov was a Futures Trader at Systematic Alpha Management and holds a BS in Finance from Baruch College. Mr. Nikos Petrakakos joined Seabury Maritime in September 2018, as VP and of Head of Maritime Environmental Innovation. He has focused his career around global shipping, with deep knowhow in both the commercial and technical aspects of the industry, and is a go-to specialist for maritime environment and sustainability projects. Prior to joining Seabury he co-founded Ursus Maritime Capital, a specialty consultancy and finance firm providing turn-key project finance for fuel efficiency retrofits, exhaust scrubber installations and alternative fuels for the Maritime industry. 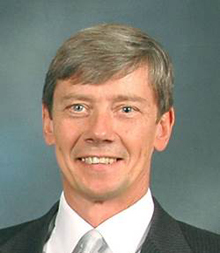 He began has career as Operations Manager for Oldendorff Carriers, the largest global dry-bulk ship operator, followed by executive roles at ship managers HART Shipping. Robert Rydzewski is Principal Systems Engineer for Seabury Global Markets and General Manager of SGM.LIVE. He has over 20 years’ experience in the Information Technology discipline with emphasis on trading infrastructure and technical operations. He has worked both in the US and abroad focusing on multiple asset classes (commodities, options, equities, forex, interest rate derivatives, crypto) and markets (US, European, Asian). Robert attended the New Jersey Institute of Technology and joins SGM.LIVE from DRW Trading Group. 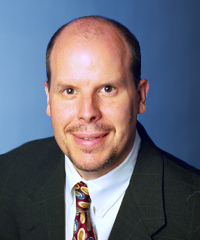 James Szymanski joined Seabury in 2003 and has over 30 years of airline accounting and information technology experience. As an executive within Seabury’s IT software consulting and development firm, Seabury Enterprise Solutions, LLC (SES), Mr Szymanski has assisted clients on a range of projects including technology vendor selection, IT due diligence, business process development and reengineering and development and implementation of proprietary SES applications. Tony joined Seabury in January 2006. He analyzes and manages the services associated with various esoteric asset classes at Seabury including vehicle service contracts. 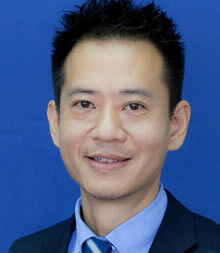 He is currently managing the operations of SING, the servicing agent for SeaVS and is instrumental in originating insurance related products for securitization. Tony had been responsible for underwriting and pricing individual life settlement policies and he has an extensive background in the Life and Health Insurance industry dating back to 1998, working with the major life settlement brokers & providers to price and source life settlement policies and conduct in-depth analysis and risk assessments of the life expectancies of the insured parties. He oversaw the acquisition and disposition of such assets under management.